On April 13, 2018, at about 10:50 am, Deputies with the Montgomery County Sheriff’s Office were dispatched to the Avana Woodridge Park Apartments located at, 1475 Sawdust Road, Spring, Texas in reference to a robbery. When Deputies arrived they met with the victim who advised that he went to an apartment to meet a girl. When the victim knocked on the door, two black males opened the door armed with a sawed off shotgun and hand gun. The two suspects robbed the victim of his backpack containing a cell phone, necklace, watch and hand gun. After taking the victims property the victim was allowed to leave. Deputies approached the suspect’s apartment when a black male matching the description of one of the suspects was observed walking next to the apartment building. The suspect was detained and confirmed to reside in the same apartment provided by the victim. 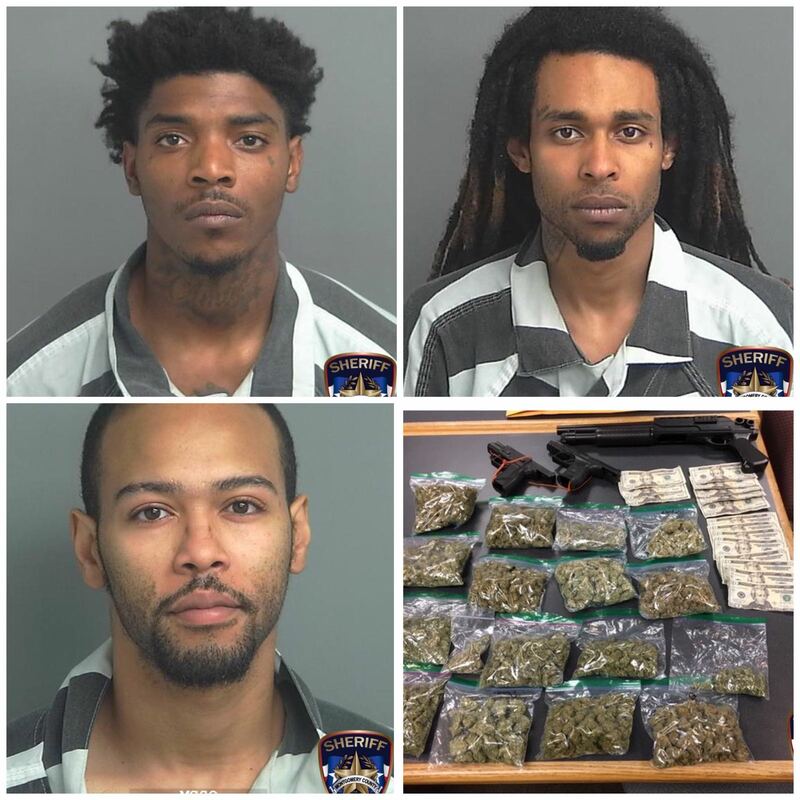 Deputies then went to the suspect’s apartment, at which time they conducted a search of the apartment and found three more males inside. All the males were detained for the investigation. During the investigation, Deputies and Detectives located the victim’s property inside the residence as well as the weapons the victim described. Deputies also located several zip lock baggies containing marijuana. At the conclusion of the investigation, Deputies arrested 3 males. Two males were arrested and charged with Robbery while another male was arrested for Possession with Intent to Distribute.